When transporting any animal or livestock, the safety and comfort of that animal is always important. If you’re looking for a cheap and effective way to move your animal, more specifically a horse, from place to place, then you definitely might want to peep this next auction deal. 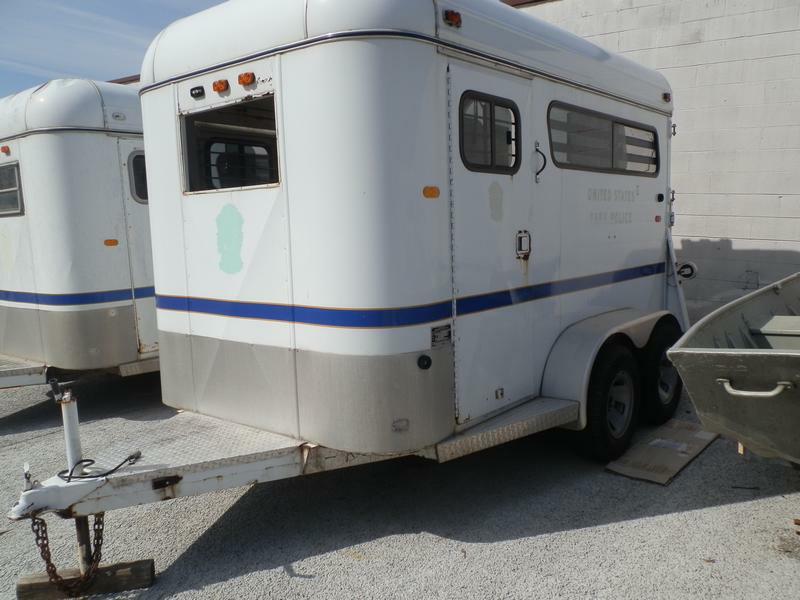 The auction is for a 2002 Shoop Wide Deluxe Horse Trailer. It’s been sitting in a lot for several years and is not in safe for road travel until the tires are checked. They might also possibly need to be changed, so an inspection is recommended. The current asking price for this horse trailer is just $500 with 3 online bids already placed. If you’d like to find out more about it and how to place your very own bid, then all you have to do is click here to begin your 3 day free trial account. Better hurry though, this auction ends in precisely 3 days, 1 hours, and 53 minutes. 2012 Town Homes Travel Trailer: Win It Today and Call It Home! 1989 Mayflower Travel Trailer: Still Looking For a FEMA Trailer? 1990 Baja Powerboat 320 DVX with Tandem Trailer: Get On the Boat! Four Winds Camper Trailer: Unbelieve Deal on a Trailer! 1993 SHULT MOBILE HOME: It’s Got Everything You Need and More! 4 Horse Trailer: Giddy Up! GovernmentAuctions.org…It’s like a year round Cyber Monday!